Now that summer snow is falling, the stores are replacing garden and deck gear with backpacks and school gear. But is is not even mid-July, you may cry! 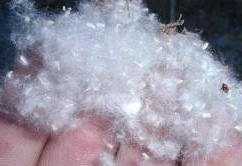 And summer snow is just cottonwood seed, not icy cold white crystals! True, true. But the seasons are never fixed, and change is the true constant. Between the two snows comes harvest, and Carol Ross, esteemed B&B host at Big Bear, is again teaching the community how to preserve fruits and vegetables. Hear her August 4th at Pioneer Schoolhouse at the Anchorage Garden Club meeting. She is a retired Anchorage home economics teacher and a lifelong Alaskan with plenty of experience! Bed & Breakfast members gather this coming week to celebrate the high point of the growing season by touring members’ gardens. 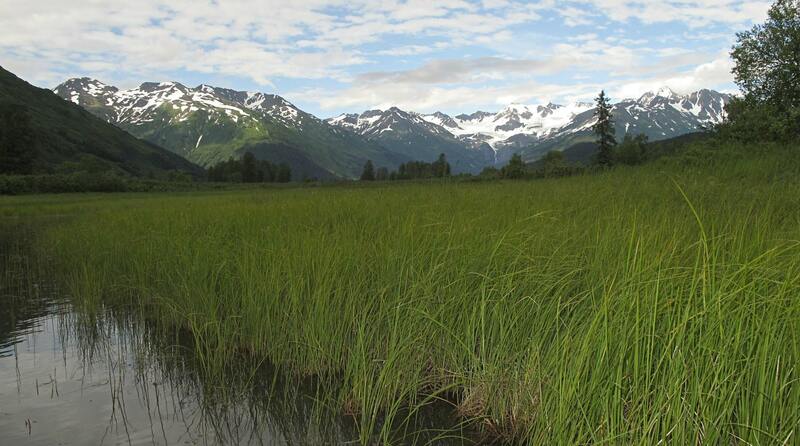 Visiting the gardens at Swiss Efficiency, Summerset, Alaska Frontier Gardens, and Susitna Sunsets gives insight into a number of growing conditions and temperature variations – hardiness zones 4b to 6b are part of the range! This business of weather affects not only the agricultural business, but other sectors as well. Did you know that NOAA tracks weather as it relates to tourism? For example, they publish estimates of the annual value of marine wildlife viewing and recreational fishing in Alaska. On the ground, locals also track the weather, predicting the coming of winter and how hard a winter might be looming. Today, someone spoke of the fireweed and how quickly it was crowning. To have it turn from fire to smoke ‘early’ is a signal that the coming winter will be severe. To the gardeners, the signal says that harvest will be sooner rather than later, as a frost will come in the early part of Fall. And so we watch, measuring the beauty of the day, its length of sun and light, and the creeping signs that say harvest will be soon. One favorite signal is the Alaska State Fair, always a favorite of travelers and residents alike. That we know starts August 25th this year, spanning the days ’til closing on September 5th. Garrison Keillor is one of the featured acts in this, the 75th year of the Fair! Agriculture is increasing in this state, with root vegetables, peonies, and native herbs among the best known of crops. Want to appreciate the local foods? Visit the farmers markets held mid-week and weekends, or check local restaurants featuring locally grown choices. Let us promise to enjoy this season, cottonwood ‘snow’ and all! Observe the fireweed, be amazed at the color and size of flowers in gardens and hanging baskets, and work the earth while you can.